According to internal Warner Bros. sources, the former record label of Van Halen, David Lee Roth was threatening legal action over the idea that a compilation should be released to include material from the era of the first Van Halen albums (1978-1984) along with DLR solo songs. Understandably this would have not been a brilliant marketing decision for “Van Hagar”. The band, although beginning to suffer from problems internally, did not want to show this commercially. Sammy Hagar era Van Halen were here to stay, it seems. Sammy Hagar would only sing Roth era songs live, not recreate them in the studio simply for the purpose of one angry man. David Lee Roth was still angry about Van Halen. Warner Bros. then came up with an idea that worked for every party involved, which was to release a live album and video based on the motion that some of David Lee Roth era Van Halen songs were covered. It managed to keep everybody satisfied. The video was filmed over two nights: May 14 and May 15 1992. It was shortly aired on radio afterwards as the “Cabo Wabo Radio Festival” on the 20th of August that year, and was well received. The video and album were released in early 1993. Although commercially a success for a live album, this album was strategic self-harm for Van Halen, beginning to suffer once again from internal issues. However, although the album reached the charts and sold well, it is not really live per se. 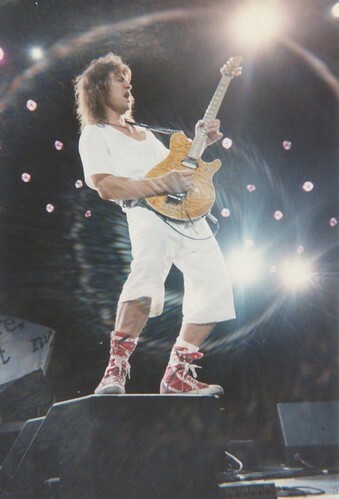 Sammy Hagar in his autobiography mentioned in particular that the process of re-recording some parts of the album was overly extensive and laborious, and further weakened his relationship with the rest of the band, particularly with Eddie Van Halen. These sorts of problems only worsened over time. Let’s observe firstly the live album, then the video itself. The live album itself does sound heavily edited. It is hard not to feel annoyed or disappointed at the production involved as it sounds like a mishmash of too much editing, low/loud crowd noise and in general a lackluster effort of mixing. Indeed, if people like Sammy Hagar are to be believed, then it is not really at all a live album. Yes, there are two discs of Van Halen songs. But most of them are from the For Unlawful Carnal Knowledge era with little variety otherwise. Somewhat lacking overall, although even so, not the worst of Van Halen. Still, it is worth purchasing if you have the patience to sit through two discs of Van Halen songs, a feat that fans can appreciate. Regardless of any over-editing, Live: Right Here Right Now does sound sonically fantastic. The live video is quite a lot better. 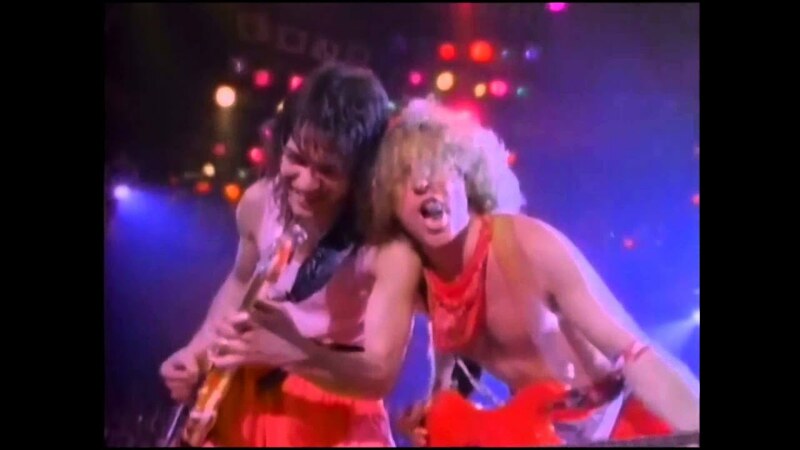 Although again, some blame can be shifted to the people who edited it, and director Mitch Sinoway for choosing to mix the two nights not so seemingly blended, it is a good, not great representation of Van Halen mark II. So, what are the highlights? After watching the video and listening to the CD, there are some very good moments. “Poundcake” is awesome live. And it does not take a genius to realise by the following track, “Judgement Day” that Eddie Van Halen had really achieved a huge step forward in his guitar sound and tone with his Ernie Ball Music Man EVH Model and Peavey 5150 amp rig. It is undeniably powerful and awesome. Eddie Van Halen sounds as though he is on fire on this recording. There are other highlights, such as Alex Van Halen’s “Drum Solo” (although probably a bit too long), the live version of “Spanked” and of course, Eddie’s guitar solo “316”, which combines a series of structured passages that Eddie had perfected over the years into a live setting. Brilliant. And Sammy Hagar does prove himself to be a great singer with “Eagles Fly”. But there are some poorer moments too, most notably the over-the-top and ridiculous “Bass Solo” by Michael Anthony. Watching it the first time makes a little bit of sense, but repeated plays on either video or audio format makes you seriously wonder the purpose of it. It is theatrical, yes. But very unmusical. The fact that the live video covers every single song from For Unlawful Carnal Knowledge is very disappointing as well. Regardless of anything, the F.U.C.K. tour of 1992-1993 was one of the most successful Van Halen tours and Live: Right Here Right Now is a good representation of that. So overall, a mixed effort by Van Halen. Shortly afterwards the worst would occur to the once powerful and seemingly cohesive group. However, regardless of that, Live: Right Here Right Now is good Van Halen fun. 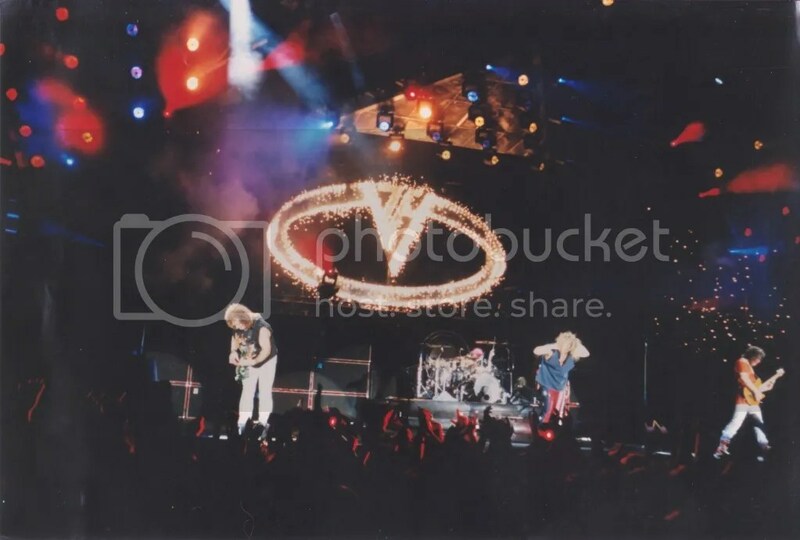 This entry was posted in Guitar, Music, Rock, Sound, Van Halen and tagged 1993, Album, Alex Van Halen, Eddie Van Halen, Live, Live: Right Here Right Now, Michael Anthony, Sammy Hagar on November 8, 2015 by chrisairey01. The time had come for Van Halen to recognise how popular they were becoming. They had already built up a huge fan base intentionally and at home in the United States. 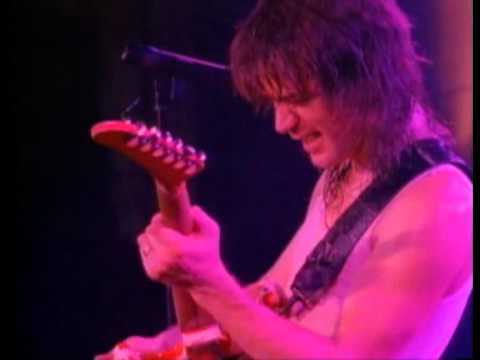 In response to this, Van Halen decided to record themselves playing over two nights in New Haven, Connecticut in 1986. The result was not considered an official release, but amongst Van Halen fans is considered so. The Live Without A Net video was released in 1987, along with a live album called Love Walks In. 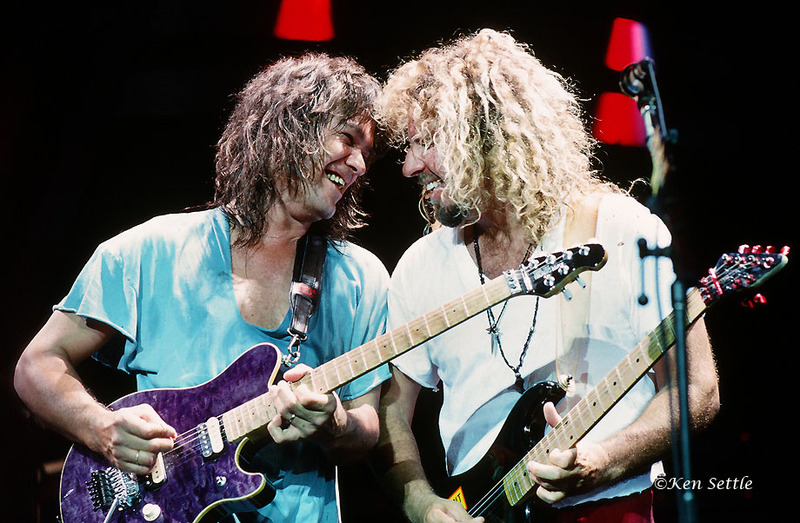 Eddie Van Halen and Sammy Hagar seemed to get along well around this time. In retrospect, there seems to be some overly generous editing on the Live Without A Net video. Indeed, purists may find that this is not a real representation of Van Halen. Watching the DVD and listening to the album give somewhat different results. It does seem that the video itself was a mish-mash of editing, paving the way for the “semi-live” album Live: Right Here Right Now in 1993. In particular, Sammy Hagar’s vocals do not sound as powerful or as good as the vocals on the video. Regardless of this, Live Without A Net can just show you how on top of their game Van Halen were around this time. The fact was that despite the personnel changes and some of the difficulties surrounding doing so, Van Halen were (and are) capable of creating a great show with great tunes. The best pieces are the opening tunes, such as “There’s Only One Way to Rock”. But the individual solos are a show-stopper. In particular, Eddie Van Halen’s solo is one to watch with fascination. Years and years of practice and playing, along with his awesome Kramer 5150 guitar show truly a man who was unbeatable at his craft. It is truly fantastic to watch. 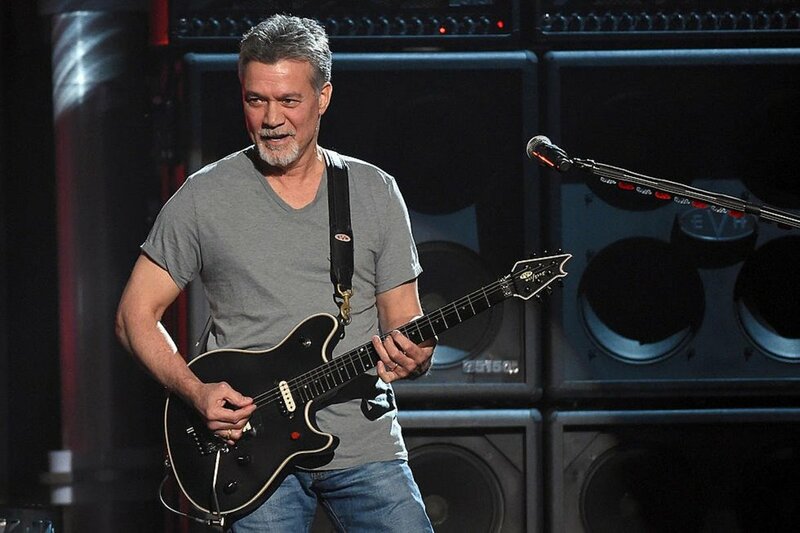 Eddie Van Halen is a star on Live Without A Net. But the whole video is worth adding to anybody’s collection. Regardless of any editing that may have been undertaken, it is definitely a must watch for the Van Halen fan. The album, on the other hand, does seem to take a flipside to this live recording. It is not as good, although it does include “Good Enough” as the opening track, it simply pales in comparison to the video itself, perhaps proof of some obvious editing here. Unlike the video, it seems that it is only worth seeking out if you are really keen on Van Halen. But still, this is part of the Van Halen story, and enough to generate interest. In short, although there are mixed results with these two offerings from Van Halen, Live Without A Net and Love Walks In are fun, entertaining and exciting Van Halen moments, and more proof of the band’s capability to hold it all together after the departure of David Lee Roth. 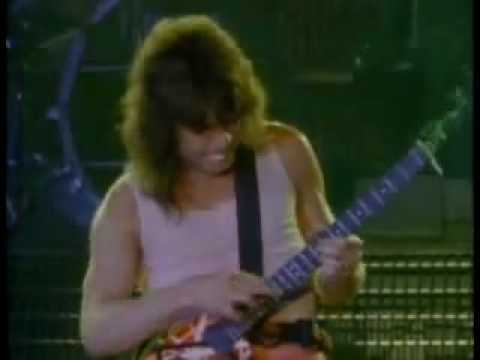 Eddie also used the Steinberger 5150 extensively on Live Without A Net. 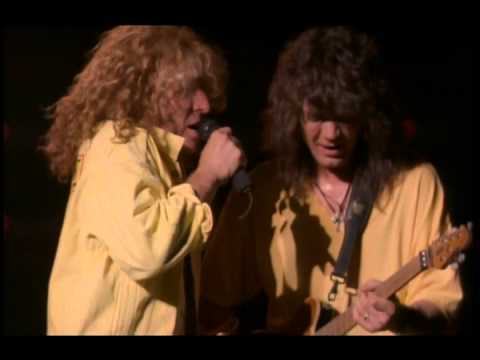 This entry was posted in Guitar, Music, Rock, Van Halen and tagged 1987, Album, Alex Van Halen, Eddie Van Halen, Live, Live Without A Net, Love Walks In, Michael Anthony, Sammy Hagar on September 10, 2015 by chrisairey01.